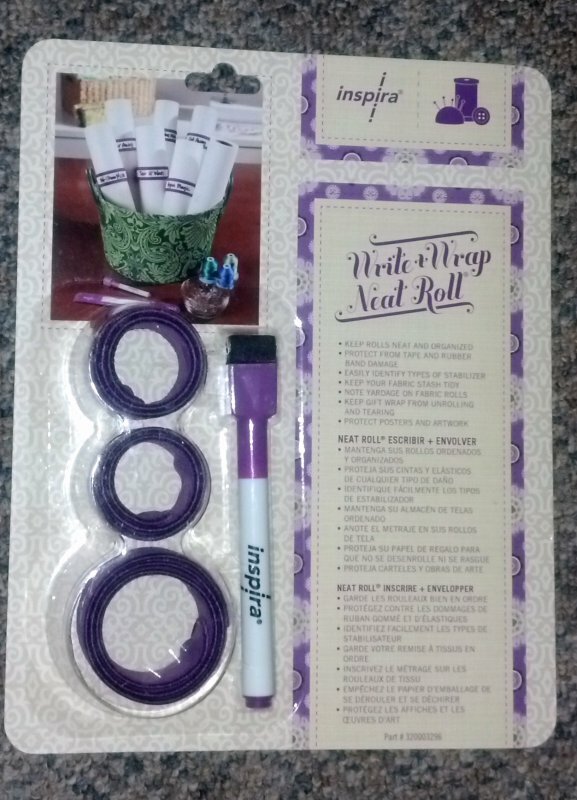 Write & Wrap Neat Roll is used to put around stabilizer rolls and label them as to type of stabilizer. Bohn 2 Needle Grippers. 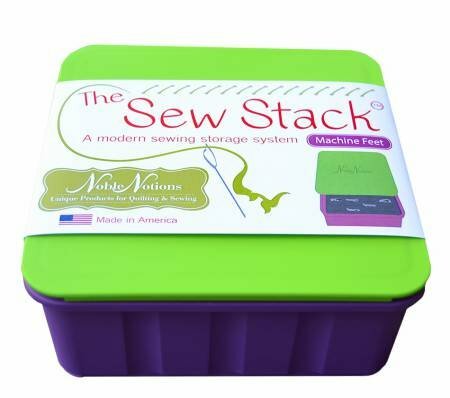 To help firmly hold your needle and to easily pull it through heavy or layered fabrics or leather. 'Carol Doak's Foundation Paper'. 100 sheets 8 1/2 x 11". Use in most inkjet or laser printers or copy machines. No shrinking curling or turning brittle. 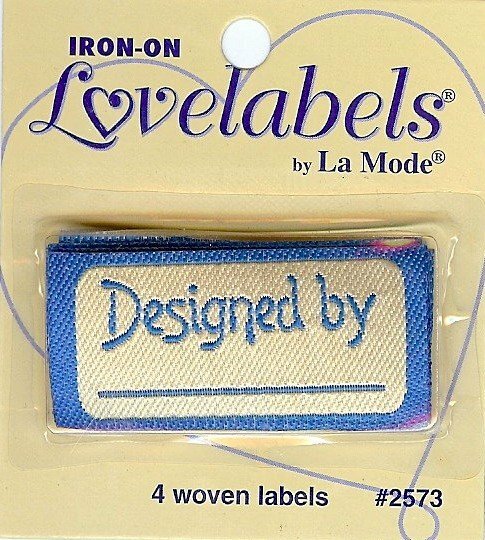 Holds up during stitching tears away easily. Clover Magnet Pin Caddy. Grabs pins securely. Gathers and stores pins safely eliminating the need for a pincushion. Allows for easy pick up securing pins in one direction. 'Collins 120 inch Tape Measure'. The perfect length for quilting will not tear stretch shrink or fade. Washable with metal tips easy to read. 'Collins Finger Presser for Right or left Hand'. Perfect lightweightt portable iron. 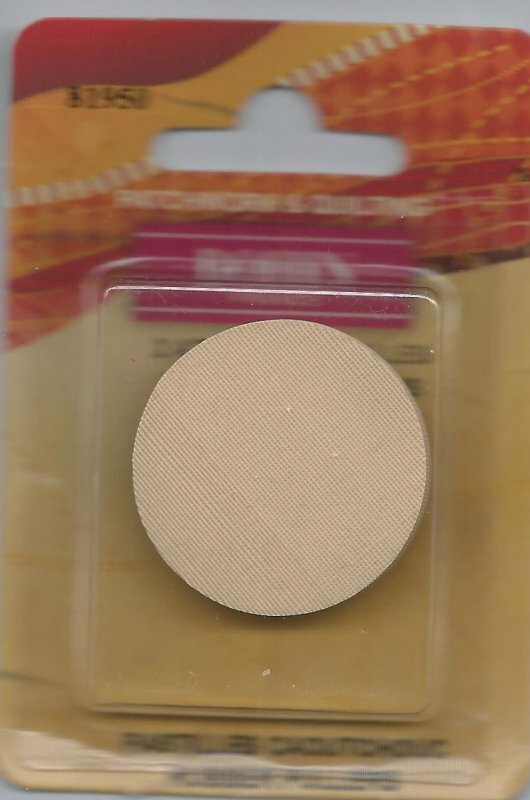 A must have for paper piecing also. 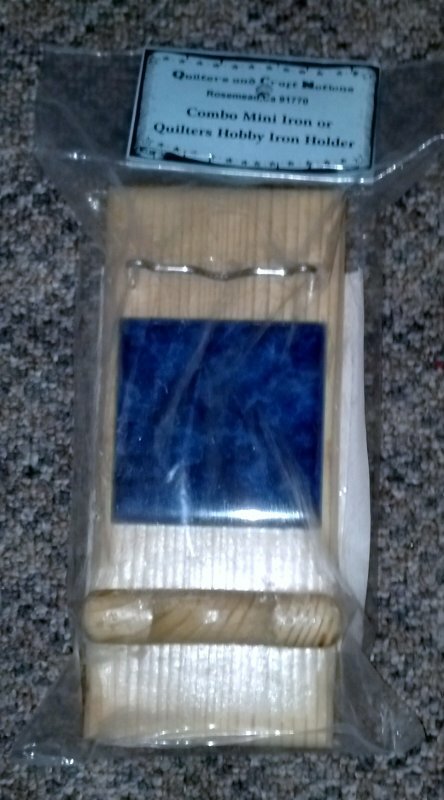 'Combo Mini Iron or Quilters Hobby Iron Holder'. Made of wood with heat tile to protect wood. 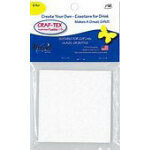 Craf-Tex Create Your Own Coasters - square 4". Simple add your favorite fabric to both sides apply a press cloth and press piece with iron. Use bias tape for edge. 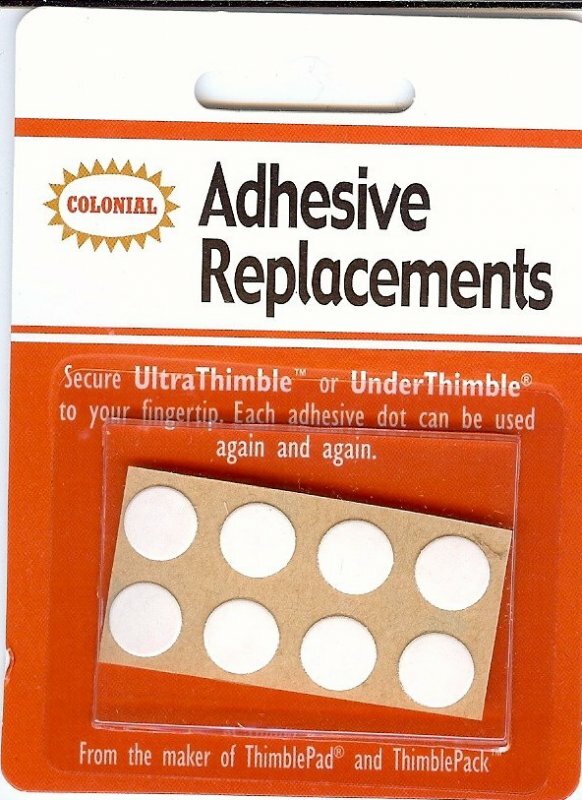 Fingertip Shield Ultra Thimble Dual-Purpose. Protects Upper or under hand controls needle comfortable and secure. 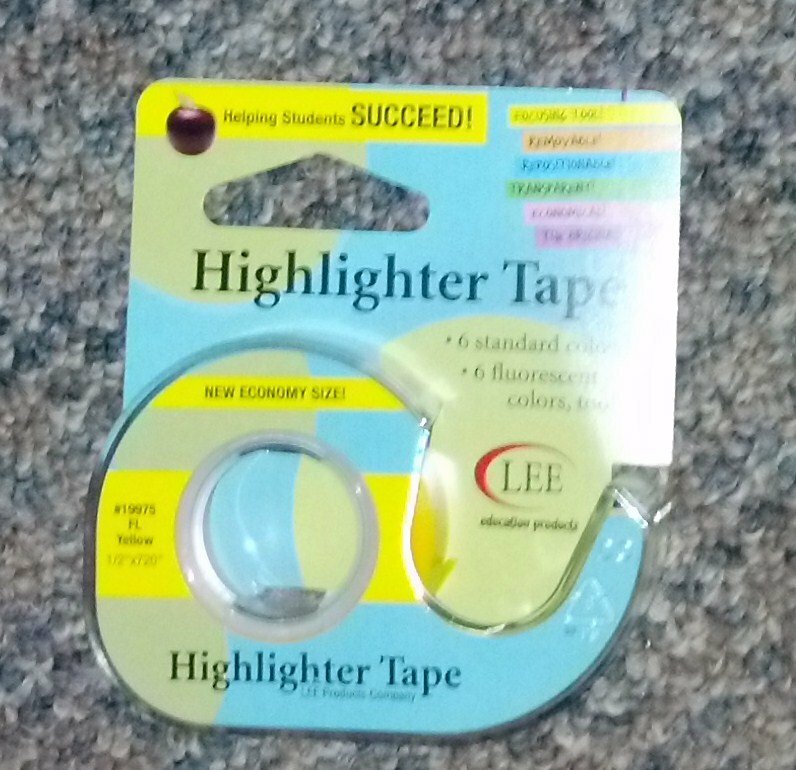 'Highlighter Tape Yellow 1/2 inch by 720 inches'.A forgiving highlighter that allows students to learn to highlight key information. 'June Tailor Ink Jet Printable Fusible Web'. Print your own applique patterns directly onto fusible web using your computer and ink jet printer. 6 sheets 8 1/2 x 11" blank. Kwik Klip is a tool for Pin Basting Quilt Layers. It fastens safety Pins easier with no more sore fingers broken nails and saves time..
Martelli Zip Clip holds fabric for perfect control. Place fabric in the slot at the end of the clip. Push white spring loaded grip down to release clips. Reload clips in the end of top side of Zip Clip narrow end of clip first. Martelli Zip Clip Extra Clips for the original Zip Clip. 'Darice Mini Crafting Iron'. Handy Portable size fits in crafter's toolbox. Great for College travel and quick ironing touch ups. 'Omnigrid InvisiGrip'. Prevents rulers from slipping when rotary cutting. A 12 1/2 x 1 yard clear non-slip material that is applied to rulers cutting mats and templates. 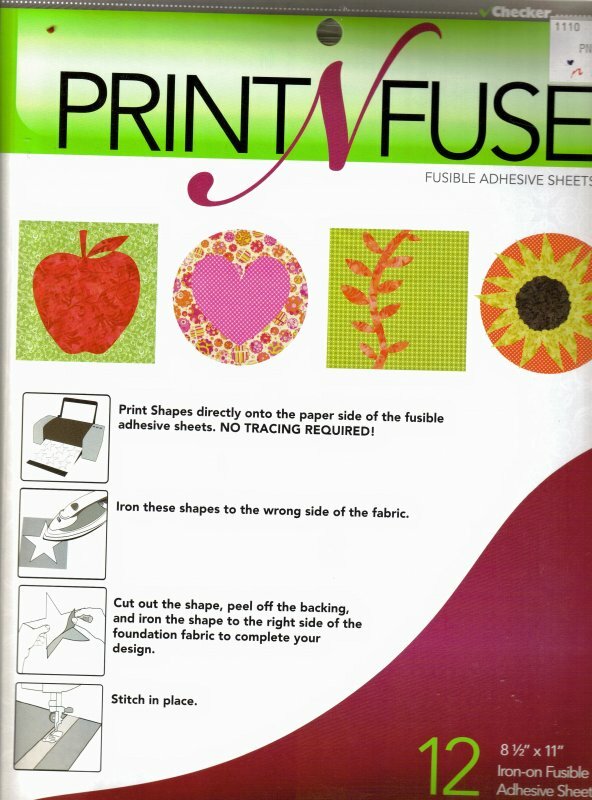 'Print N Fuse' is a fusible adhesive sheets that are ironed on. They are 8 1/2 x 11" paper backed that can be run through a standard inkjet printer. Not for use with laser printers. 12 sheets. 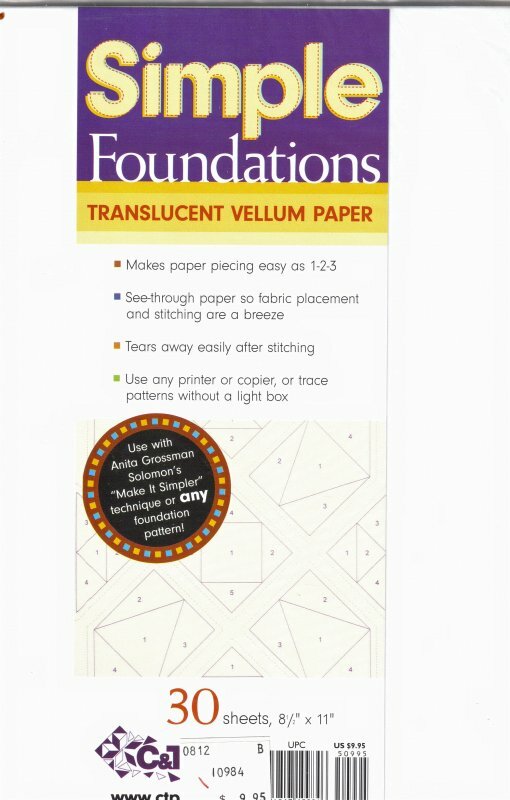 'Simple Foundations Translucent Vellum Paper' by C & T. 8 1/2 x 11". 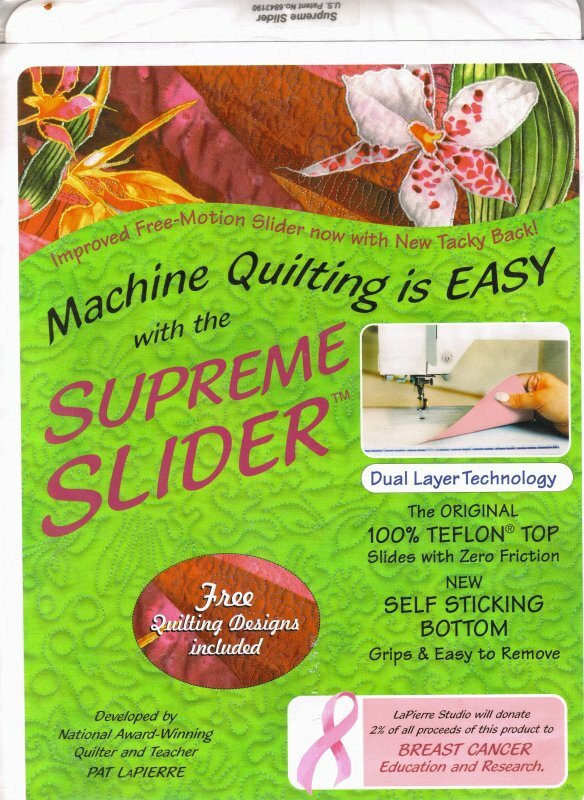 'Supreme Slider with Teflon top for Machine Quilting'. Slides with zero friction and has self sticking bottom. Free Quilting Designs. 'That Purple Thang' is by Lynn Graves. Thread a ribbon thru the slot and wear it round your neck. It pushes poes pulls p-fudgest p-turns p-stuffs. It makes its own uses. 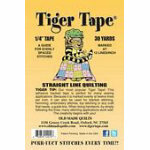 'Tiger Tape 1/4 inch x 30 yds marked at 12 lines per inch'. 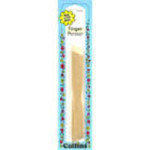 Great for straight line quilting buttonhole stitch big stitch style top stitching or anything that needs a lined guide. True Grips - Non-slip adhesive rings for Rulers. Simply stick to the back of any ruler. Transparent for easy fabric visibility. 15 grips per pack.